If I have learned anything about committing one’s thoughts to print, it is Never Make Predictions. They will invariably be wrong and will come back to haunt you. I am thus unwilling to hazard a guess as to the longevity of the boom in headphone sales and usage. As long as it continues, however, in the best ’make hay while the sun shines’ manner. Focal is covering all its bases. The latest to join its high-end family is the Clear, between the dearer Utopia and less costly Elear. 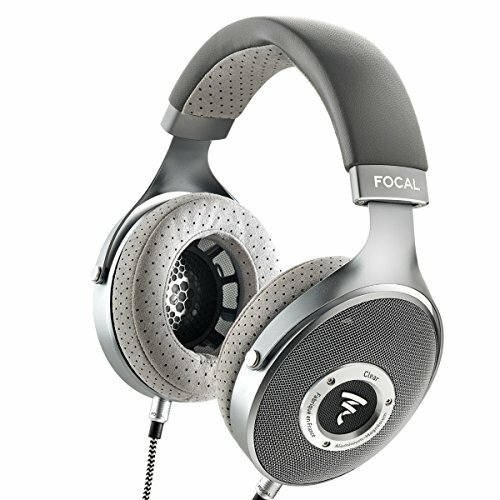 Focal’s Clear is a departure from my preferred cans. For the past 30-plus years, since I heard my first pair of Stax electrostatics. I have favored planar types over dynamic drivers. Despite this bias, now served by Audeze LCD-Xs. I have a deep and abiding respect for a number of B&Ws. Beyers and AKGs. and the Clear’s less expensive predecessors. What keeps me wedded to planars is an openness and an out-of-the- head sensation that eludes other designs, whether sealed or open-back, and a sense of the treble’s transient speed. Blessedly, the Clear emulated planars to a greater degree than I expected when it comes to openness, if not quite begging the need for forthcoming processors that promise unbridled openness – but I’ll get to the sound in a bit. More important is justifying the price when there are stunning headphones on the market. What Focal is pursuing – like its Gallic cousins at Devialet – is something beyond mere audiophile acceptance. Bowers & Wilkins discovered years ago), and Focal has gone the extra kilometer by providing a superlative, padded carry- case. It is form-fitted to withstand being crammed into hand luggage and has space for the three types of interconnect cables supplied, meeting all needs. 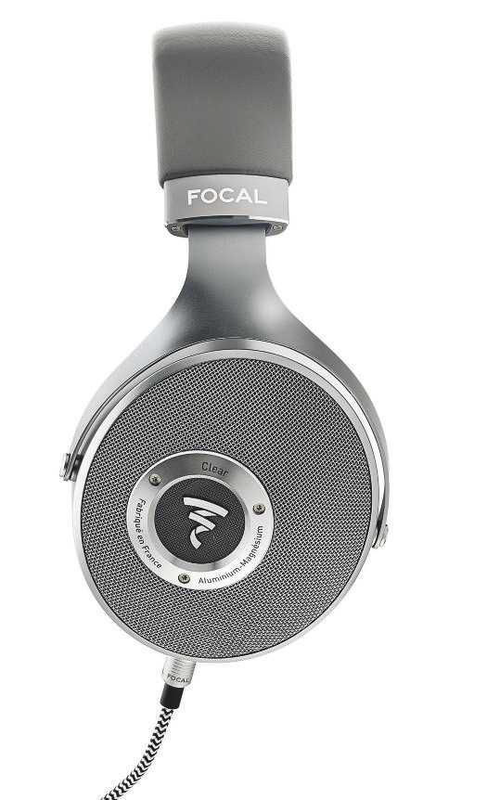 Focal generously equips the Clear with a 1.2m set for use with a portable device, with a 1/4in jack convertible to a 3.5mm mini-jack. 3m with 1/4in- only jack and 3m balanced cable. The cables attach with a separate L/R 3.5mm mono plug into the bottom of each cup. so take note if you wish to experiment with aftermarket cables. or jogging with headphones that can only be described as ’massive’. I have no problem with the Princess Leia look, but I do find cumbersome cans to be an irritant outside of the home or listening room. As far as my own usage goes. I have (as do most of us. I suppose) two basic headphone needs: serious listening in the home and convenience usage on the go. For the latter, criteria such as size, weight, noise- cancellation and other concerns trump sheer sound quality. For some time now. I have used only the AKG N60NCs during train journeys and flights. But markets often force a one-size-fits-all qualifier rather than the far more sensible – but ultimately costlier – horses- for-courses approach. 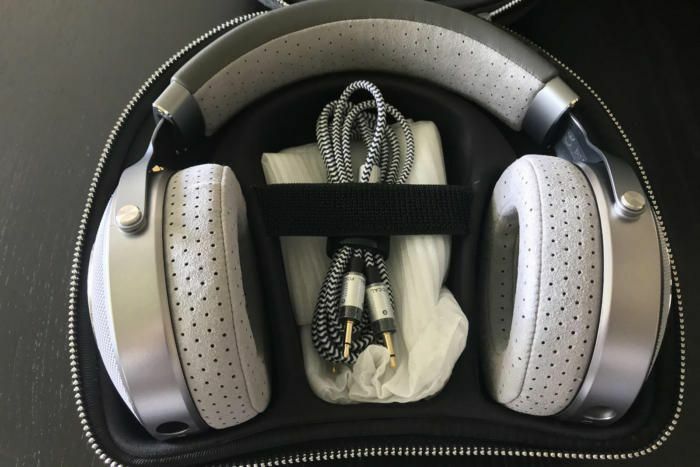 The latter costs more because most people would rather buy one pair of headphones that do everything, rather than two: one for in-house ’serious’ listening and one for in-transit pleasure. That said. I have yet to find any that can fill both sets of requirements, unless one follows the ear-buds path with its inescapable hygiene issues, the effects of added pressure on eardrums with tightly- fitted buds, the ease of losing them, and the sound leakage that makes it utter hell if you’re sitting next to some part-deaf millennial on a train, etc. For me. the sheer bulk of the Clear precludes it from use in transit so I judged it solely by the criteria of an audiophile listening in the home. Dutifully, however. I also used them with both a Huawei 10 phone and Pioneer XDP-100R digital player to confirm that both could provide satisfactory levels, which they did. Still. headphone amplifiers. Such is the transparency of the Clear that the differences in these various feeds were easily discernible, the best match in terms of overall balance being the Marquis, though the Clear certainly exploited the added warmth of the Quad PA-One’s valves. This exposed the one curious behavioural element of the Clear, for even with the solid-state units the sound had a lushness that might easily be attributable to valve amps of the old school. The Quad PA-One added a level of warmth at the cost of a touch of transparency that thickened the sound, which was evident on vocals. between headphone amps delineated this phenomenon with enough conviction to suggest that anyone shopping for Clears (or any headphones for that matter) really must try them with the headphone amplifier or player with which they will be spending the bulk of their lives. Amusingly, actual power was not an issue with any of the devices, whether a beefy headphone amp or a mobile phone or player – but then I have only ever found one pair of headphones in a half-century of listening that did challenge a ‘Ain socket, the DT48 ’cult’ pro model from Beyer. As KH’s Lab Report indicates [see p63], the Clears are less sensitive than their siblings, but they are still easy to drive. At no point did I have to crank up any of the headphone amps or portable devices to attain levels beyond what I consider to be sane or comfortable. What especially I loved about the Clear is its bottom end. perfectly proportioned, extended, solid and dry in the same album’s heartbreaking cover of Lowell George’s ’Willin’’. I was gutted by the loss of Allman before Southern Blood arrived, but the intimacy imparted by the Clear begged for close listening. As with other Focal headphones I’ve used, the Clears fall into the smooth-and- silky quadrant of one’s Venn diagram. It’s apparent even with raucous material, such as The Motors’ ‘Dancing The Night Away’ from The Motors – The Virgin Years box set [Caroline CAROLR010CD]. After a jangly, twangy intro, in come power chords, pounding drums and an intensity in the vocals that suggests strained jugulars. The Clears keep it all together, widely spreading the sound at 1m 36s to show you how it can exist outside the head. No. these do not obviate the need for planars if that’s more important to you than. say. midband neutrality. and these will never be mistaken for a pair of Stax Lambdas. And some might find the warm ’n’ fuzzy nature, applied to something as feverish as The Motors’ debut LP’s opener, a touch ironic. This post-punk (actually, that’s a bit of an insult: there wasn’t a single band in the entire punk canon with the musical chops of these former pub- rockers) frenzy ought to rip the top of your head off. Via the Focal Clears, the hard edge is slightly muted, but. hey. anything that fends off the arrival of a migraine is OK in my book. The details weren’t compromised, the attack was still crisp – only the nasties were controlled. This is a truly more-ish set of cans. And what happened with something so velvety that you could use it to put babies to sleep? Luck or timing provided me with a copy of True Faith, a freebie CD from Mojo, with The Staples Singers’ heart-stopping version of ‘Will The Circle Be Unbroken’ in glorious mono. Aside from demonstrating the dead-centre balance of the Clears, it allowed one to focus on massed voices without the spatial separation provided by stereo. This is a fun test to try. lest you think mono has no value. I am not telling you how many Staples there are behind Pops, but the Clears let you hear each one. Ditto for the same CD’s equally breathtaking inclusion. The Orioles’ ‘Crying In The Chapel’. Sure. Elvis absolutely killed this, making it his own. but this deep gospel version almost makes me see the light. Every voice blended perfectly, but the keen ear was able to home in on each one of them. Then there’s BB King’s contribution. People forget he mastered every genre beyond the blues that he chose to address, from jazz to funk. In full-on gospel mode, with rich Hammond organ stage left, he delivered ’Take My Hand Precious Lord’. Recorded in 1960, it has a minimalist arrangement of just drums, organ, piano and bass. The listener is regaled with a flood of emotion of such sincerity and intensity that one can only count the days until one’s next confession, or whatever other mode of salvation suits your soul. How good. then, are the Focal Clears? This good: half-way through the BB King track, I instantly logged on to amazon.co.uk to buy 2006’s BB King Sings Spirituals. Luxurious and fatigue-free in both sound and comfort. 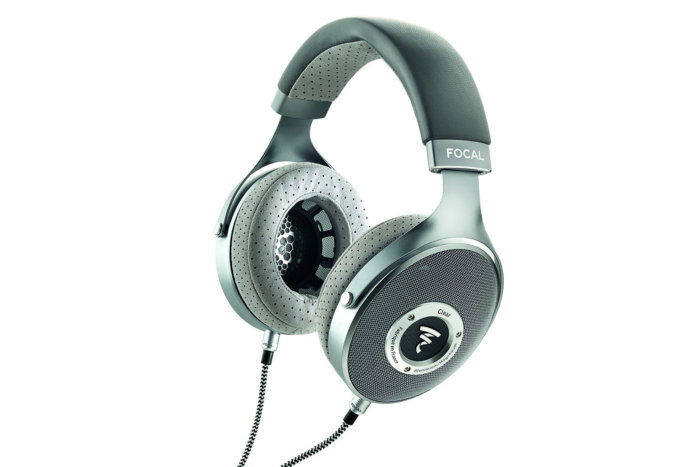 Focal’s Clear offers a fine balance between purist requirements, real-world considerations and a desire for something posh. It is one of the better dynamic models I’ve heard for offering sound freed from the cranium, while the lack of nasties – allied to those wonderful cushions – means that you can indulge in marathon listening sessions. Classy, too! In broad brush terms the Clear performs a lot like its siblings, the Elear and Utopia. In respect of sensitivity, bass extension, distortion and frequency response it is part of the family rather than a loner. But there are detail differences, of course. All three headphones have a sensitivity that’s a little lower than typical today, but account for this by having somewhat higher impedance. The Clear has the lowest minimum impedance of the three and also the lowest sensitivity, but 59.2ohm is still high for a medium-impedance headphone and 112.8dB SPL for 1V sufficiently generous for very high sound pressure levels to be achieved with most worthy partnering devices. Still, the Clear manifestly has significantly lower current sensitivity than either the Elear or Utopia. 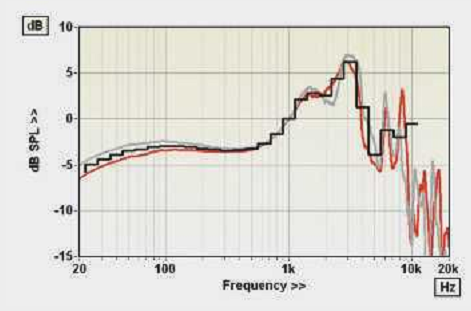 Because of the large range of the Clear’s impedance, which tops out at 320ohm at the 51 Hz bass resonance, frequency response modification due to the finite source impedance of a partnering headphone preamp is higher than normal at 1,09dB for a 10ohm source and 2.78dB for 30ohm – enough to cause perceptible changes in tonal balance. 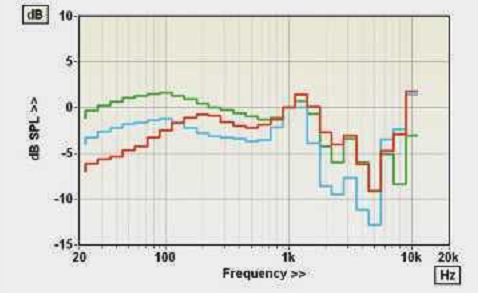 Talking of which, the Clear’s uncorrected frequency responses [Graph 1. below] show, in common with the Elear and Utopia, an extended bass coupled with less ‘peaking’ at 2-3kHz than is conventionally considered necessary to achieve a neutral perceived tonal balance.